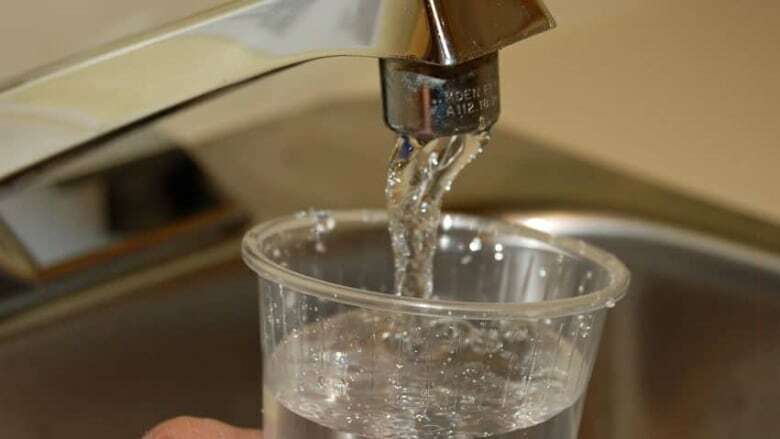 Calgary has approved a study that will look at the impact of its decision to remove fluoride from the city's tap water, with an independent review of the existing science on fluoridation. Coun. Diane Colley-Urquhart first brought forward the notice of motion calling for a study in 2016, when it failed to gain approval from her colleagues. On Monday, she brought the same notice of motion forward, and this time it was a success with a 13-2 vote. Only Couns. Sean Chu and Ray Jones voted against. In 2011, Calgary city council voted to stop fluoridating drinking water. It's been a longstanding debate in the city, which held plebiscites on fluoridation in 1957, 1961, 1971, 1989 and 1998. "I believe that council was wrong in unilaterally overruling the will of Calgarians in not one, but two plebiscites," said Coun. Jeromy Farkas, who voted in favour of the motion. Calgarians voted in favour of adding fluoride to the water in a 1989 plebiscite and in favour of keeping it in 1998. "Eight years have passed since this has been removed from our drinking water and a lot of research has been done in that interim period of time," said Colley-Urquhart. Since it was removed, according to a study from the University of Calgary, the number of children in the city with tooth decay has increased. Between 2013 and 2016, the number of children seen by the Alex Dental Health Bus — which provides mobile services to children in schools in high-needs areas — jumped from 798 to 1,607, with the biggest demands for service coming from low-income or otherwise disadvantaged families. "I do have an open mind, I am open to where the facts may lead us on this," Colley-Urquhart said. The Bow and Elbow Rivers naturally contain low levels of fluoride, between 0.1 to 0.4. mg/L. Health Canada recommends water be fluoridated to a level of 0.7 mg/L. Fluoride is a mineral that makes teeth more resistant to decay, and can even reverse decay once the process has begun. If high amounts are ingested, it can cause fluorosis, which causes small white spots to appear on the enamel as young children's teeth develop. "This [fluorosis] is largely unnoticeable and not considered detrimental to the overall appearance or function of the teeth," says Health Canada's website, and recommends it can be avoided by careful restriction on how much fluoridated toothpaste children is used by children under the age of six. Other than fluorosis no adverse health effects have been found from fluoridating water, according to the Canadian Dental Association. Colley-Urquhart said she's received hostile messages on Twitter since she said she would be bringing the notice of motion forward. "How do you have civil conversations about this, respectful conversations about this?" she asked. "People say it's not our responsibility. It reminds me of people that don't believe in vaccines or blood transfusions." Coun. Ward Sutherland said he and other councillors have been told there is data showing that fluoride can harm organs. Dr. William Ghali, from the University of Calgary, said the study will look at those health impacts, but added the studies he's seen show no evidence of negative impacts to organ health. "We are in a bit of a challenging post-truth era, just in general," he said. "I think the best way to address that concern is to address it with factual data." Ghlai said there does need to be a delicate discussion balancing personal choice versus public health. "There's a need to balance evidence and belief, and health belief is a complex domain," he said. He reminded people that the motion is simply asking for a review of existing evidence and is not a vote on whether or not to add fluoride back into the water supply. "The motion is not about fluoride, yes/no, the motion is about compiling a new dossier of evidence." Last year, Windsor, Ont., reversed a 2013 decision and voted to reintroduce fluoride to its municipal water supply. A report found the percentage of children with tooth decay or requiring urgent oral health care in the region increased by 51 per cent in 2016-17 compared to 2011-12. Windsor is now assessing its legal right to do so, as it also supplies water to neighbouring municipalities. The city saves about $750,000 a year by not adding fluoride to the water, according to its website. At the time it removed fluoridation, the city was looking to upgrade its water treatment facilities to the tune of $6 million. The American Dental Association says every $1 spent on fluoridation saves, on average, $38 in dental costs. Coun. Gian-Carlo Carra added a few amendments to the notice of motion, asking for a look at other jurisdictions, a cost-benefit analysis and other details to be included in the study. The University of Calgary's O'Brien Institute for Public Health will look at existing data scientific literature on fluoridation at no cost to the city and present the findings to council by June. Other qualified professionals and groups will also be invited to weigh in.